Win VIP tickets to the Burghley Game, Country and Angling Fair! Total-Fishing has teamed up with the organiser of the Burghley Game, Country And Angling Fair to offer two VIP tickets to the May 23rd-25th event. 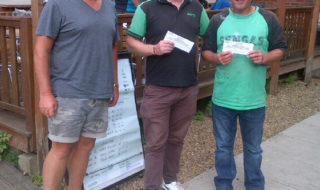 Each ticket admits two people, and each winner receives a £25 voucher to spend at Burghley. Burghley House in Lincolnshire is the venue for a perfect combination of country attractions and demonstrations being held at The Burghley Game, Country & Angling Fair. The fair is a three-day extravaganza of country entertainment, including the Game-To-Eat Country Kitchen with top chefs in live demonstrations and regional foods to eat and buy. Country sports include fly casting, distance accuracy and angling competitions and demonstrations from great names such as Charles Jardine. Special show villages include falconry, sports shooting, angling and gundogs. All day arena attractions and demonstrations will entertain enthusiasts and their families. The event plays host to many retail and country shopping outlets, so a day at the Game and Country Fair is all about, try, sample and enjoy. 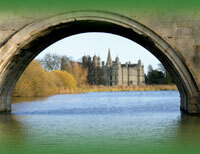 The angling village – lakeside at Burghley House – has competitions and demonstrations to enjoy. Practical fishing and angling demonstrations are being given by some of the worlds top names including Chris Ball demonstrating carp fishing. 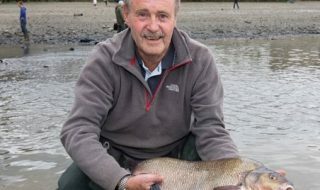 On Saturday only, Charles Jardine giving fly fishing master classes and destination fly fishing – watch him cook locally caught fish in the Country Kitchen too. Bob Nudd masters match fishing techniques and pole fishing plus baiting up swims and Carl Hutchinson talks about and demonstrates saltwater and distance casting. Spey casting demonstrations taking place are provided by Gordon Armstrong – the current world champion! As a first for Burghley, a special angling showcase marquee is on site with top manufacturers displaying their very latest gear, so angling enthusiasts and visitors have an insight into this and next seasons latest designs and innovations. Specialist angling and fishing stalls will be packed with clothing, rods and tackle to buy with experts happy to advise. Visitors to the fairs can expect to see all their favourite country attractions in all day action packed arenas and special themed villages. 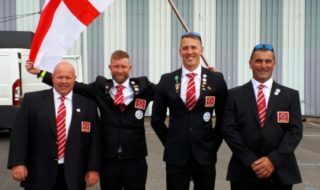 The most well known names from Angling, gun dog and working sheep dog and clay shooting join Mounted Games and scurry driving to provide top country sports events. Over 80 of the world’s rarest Birds of Prey come together in a unique falconry village and demonstration arena. Regular demonstrations are planned and include an ‘Out of Africa’ display. Side saddle riding, gun dog scurries and clinics – including one especially for children -traditional archery and many ‘have-a-go’ country attractions are also featured. The ‘Food Glorious Food’ arena will also offer visitors the chance to taste and buy many hundreds of different types of local and regional specialist foods. Local restaurants and regional food groups are taking part. Sample plates of locally prepared delicacies and game along with everyone’s favourite Pommes and gastronomic ice cream parlours, specialist coffees and yoghurts, breads, sizzling local sausages and tasty pies should satisfy the most demanding of appetites. Well-known Game-to-Eat chef Tony Robertson – and his partner Rob Marles will be giving live demonstrations on stage to show different ways in which game can be prepared and cooked. This will raise the awareness with Game and Country Fair visitors of just how versatile game is; and how it fits so well into the ‘healthy diet’ that we are all looking for. They will be joined by local chefs keen to show off menus of many types of delicious foods from their own local restaurants. Venue: Burghley House, Stamford. Linclonshire. Entry: £9 Adults, £8 Concessions and £4 Children. There are two VIP tickets to the May 23rd-25th Burghley Game Fair up for grabs. Each ticket admits two people, and each winner receives a £25 voucher to spend at Burghley. All you have to do is correctly answer the question in our COMPETITIONS SECTION and be one of the first two drawn outn of the hat at random after the closing date of May 11th 2009. Just go to www.total-fishing.com/competitions.aspx .